INWOOD, W.Va. — Emma Jean Banks, 60, of Inwood, died Thursday, Feb. 4, 2010 peacefully at the home of her daughter after a brave battle against brain cancer. Born Feb. 18, 1949 in Cumberland, Md., Mrs. Banks was the daughter of Theodore Method and the late Agnes Elizabeth (Hurt) Banks. Retired from the Pension Benefit Guarantee Corporation in Washington D.C., Mrs. Banks attended McKendree United Methodist Church and was the Queen of the Cumberland Divas Chapter of the Red Hat Society. 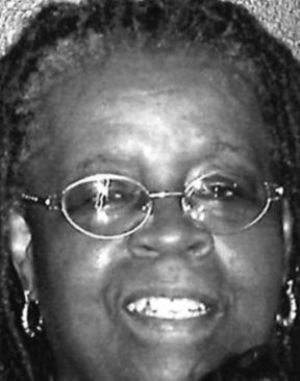 She was a member of the American Red Cross Disaster Action Team, a mentor for Cumberland’s youth in the Community Unity In Action and VISTA Programs. Mrs. Banks graduated from Allegany Community College with Associate Degrees in Executive and Legal Administration and Medical Coding. She is survived by her daughters, Regina R. Terry-Jackson and husband Dway-ne, Inwood and Joanna R. Terry, Los Angeles, Calif.; and her grandchildren, Marvin Johnson Jr., Raymond Jackson, Vyktorya Jackson, all of Inwood and Alexander Cooper of Florida; her brothers, Eugene Banks, Redland, Calif. and J.C. Garris and wife, Charlene, Cumberland, Md. ; her best friend, Nitra Peck, Cumberland; and Mrs. Banks’ husband, Dwight Pope, Cumberland. On Saturday, March 6, 2010, meeting with family and friends begins at 1 p.m. and a Going Home Ceremony will be conducted at 2 p.m. with Pastor Solomon O. Lloyd officiating at Adams Family Funeral Home, PA. The reception is to follow at the Fairfield Hotel in Cumberland. In lieu of flowers, the family is requesting that memorial donations to be sent to the American Cancer Society Association 2654 Valley Ave. Suite B, Winchester, VA 22601, in her name for brain cancer research.